EA Sports have announced the introduction of ‘quick substitutions’ into the next edition of FIFA. FIFA 18 is due to be released in September, and the game producers have been unveiling a raft of changes to the popular football series. One of the major overhauls they will introduce is the use of ‘quick subs’, a nifty way of making a rapid-fire substitution in the game without having to go back to through the menu screen. Currently, players have to pause the game, select the changes to the team they want, before returning to the game. Players will now be offered the chance to make a ‘quick sub’ in the bottom corner of the screen when the ball goes out of play, with the computer giving you the most appropriate substitution for players who are either flagging or injured, or simply underperforming. 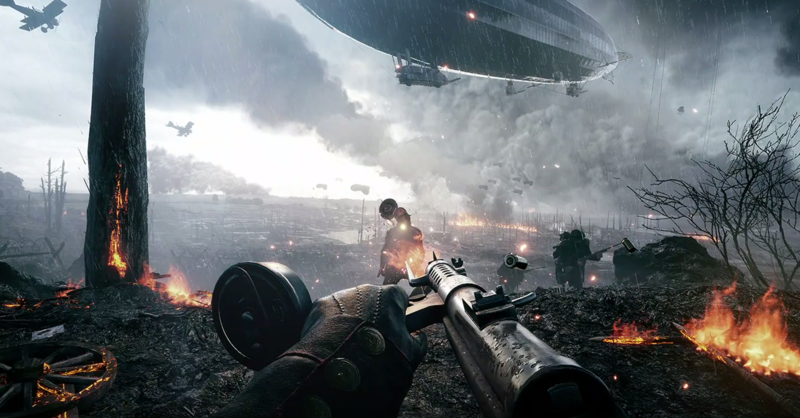 You will make a substitution by holding down the right trigger on the controller – so R2 on PlayStation and RT on Xbox. However, the best way to deal with quick subs is to use the option given before the game to set up your quick substitutions before the match. When we played the game, as you are sorting out your formation and team selection, you are able to select the players from your bench you would like to substitute on when given the option. So for players who have obvious replacements, it’s a great addition to the game. For example, when we played a small demo of the game we used Manchester City, so replacing Gabriel Jesus for Sergio Aguero and Raheem Sterling for Leroy Sane were blatant changes. So for tactically rigid players, it should make the game much quicker, meaning more games for us. FIFA 18 is on Xbox One (Scorpio), PS4 Pro, Xbox One, Ps4, PS3, Xbox 360, PC and Nintendo Switch. Eurogamer noticed publisher EA SPORTS confirmed two different FIFA video games will be shown at EA Play 2017 during E3: FIFA 18 and “EA Sports FIFA on the Nintendo Switch”. Now small print on FIFA 18’s reveal trailer has revealed some key differences between the game and the Nintendo Switch version. FIFA 17 was massively parred down for Xbox 360 and Ps3 – as the hardware wasn’t able to use the newer Frostbite technology (It was powered by Ignite – the FIFA 16 engine on last gen). So, will it look better on current-gen platforms? In short, yes – but don’t expect a huge improvement. It’ll be powered by the same engine. FIFA 17 was the first game in the series to be powered by Frostbite – which replaced Ignite used the previous year. While graphics took a noticeable boost this year, especially facial and player animations, FIFA 18 will see more subtle improvements as it’ll run on the same Frostbite 4 engine. Expect player movement and animation to look sharper – not to mention greater detail and likeness. Other peripheral graphical tweaks, such as improved crowd detail, will also be present. PS4 Pro owners and PC gamers will once again receive the best-looking versions of the game. The former will once again capitalise on ‘Pro Mode’ – allowing for increased detail and more stable framerate at above 1080p resolution. EA Sports has ditched Legends in favour of multiplatform Icons. Icons will be available on all platforms – and the first one is Brazilian Ronaldo. Will it play the same as FIFA 17? Whether this will be the re-introduction of a “momentum” bar, as in FIFA 06, or just a tweak of the alleged in-game code remains to be seen. Either way, fans want something done about it. EA Sport have released the trailer for the new game here – you can watch it here. FIFA 18 launches on September 29.
Who will be the cover star? Cristiano Ronaldo is the cover star – marking the end of an incredible season for the 32 year-old. According to EA CEO Andrew Wilson, The Journey Season Two will feature new characters and story-lines and will ‘build on the foundation created with story mode this year’. Alex Hunter’s debut was largely well-received by critics and fans alike. One of the issues with The Journey was that player choice did not affect the story as much as many would like. As a result, expect improved dialogue wheels with actions that genuinely affect Hunter’s fate. The EA-published Mass Effect series saw a similar evolution of the dialogue wheel – eventually allowing your character to interrupt NPCs mid conversation. This feature would be a welcome, and easy to implement, addition. What will be the best new feature? Dynamic weather will almost certainly feature in FIFA 18. Need For Speed (2015) and Battlefield 1 -are both powered by the same engine and make use of unpredictable in-game weather systems. Speaking to Metro last year, EA DICE’s Patrick Bach explained why weather is so much more than just a ‘pretty effect’. Dynamic weather would add a whole new layer of tactics to gameplay in FIFA. For example, weather taking a turn for the worse could negatively affect player ground speed, passing accuracy and injury probability. Players could fall over more easily, goalkeepers could be more likely to fumble fast shots… the list is endless, and would all help add an extra level of realism to the game. Pre-order now to get incredible offers, including three days early access with the Ronaldo (Deluxe) and ICON (Super Deluxe) Editions. Plus, kick off your FIFA Ultimate Team™ season early with special bonuses and items.